Blogging is one of the toughest fields, and with the increasing no. of blogs one day after the other, the toughness is following uptrend. Those who are in the field of blogging for quite some time now, must be familiar with the importance of having Dofollow backlinks. There are many bloggers who know its importance, but they still struggle to build backlinks for their blogs. You might know already that one of the best ways of getting traffic is social networking sites. As those sites receive millions of hits daily, so you can expect good traffic from there to your blog. Many social networking websites give Dofollow links to other websites, which make them very useful for bloggers as they can get backlinks from there with ease. Basically, Dofollow is an HTML attribute that is used to describe the nature of link to search engine robots. If any link is given this attribute, which is a default attribute, then the search engine robots follow that link. This is then turned as backlink to the site located on that particular link. 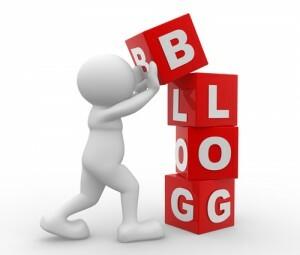 Therefore, to build backlinks, bloggers always look for the Dofollow blogs so as to comment on them. But Dofollow social networking websites are better to get links from as their reputation is always good in the eyes of search engines, and apart from the backlinks, one can also hope for good traffic to one’s blog from social bookmarking websites. If you are interested in getting links from Dofollow social networking websites, then do check out this list of Dofollow social networking websites. Here it is. Some of these sites are dofollow. Hope, you liked the list of of high pr social bookmarking sites. Drop your views via comment. Nice collection of bookmarking websites and i want to ask that how to register in reddit..
Hey Vivek, Its very easy to register an account with Reddit. Even, you need not provide email address for account registration.